Rahm Emanuel knows social media — he'd have to, after the escapades of a Twitter alter-ego powered by punk rock journalist Dan Sinker became one of the most high-profile storylines of his campaign. But does he know open government? 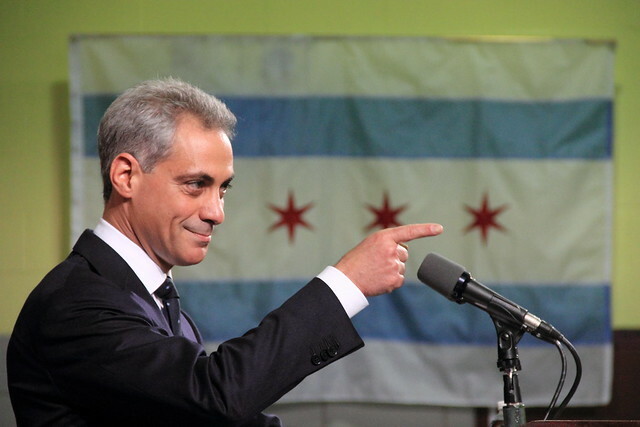 Huffington Post Chicago editor Jen Sabella writes that Emanuel has, like new governors and mayors around the country, launched a transition website asking for ideas and resumes. What sets Emanuel's site apart is a subtle but important difference: It allows visitors to view, vote and comment on the ideas submitted by their peers, a la Digg or Ideascale. Many other transition sites and solicitations for input are black boxes that don't trust website visitors with one anothers' ideas and comments — meaning there's no telling what people are saying or if the politician hosting the forum is obliged to respond. The Emanuel team promises to review proposals and present some on the website for discussion, but comments appear to be more freewheeling — perhaps appropriate for the famously profane former White House chief of staff. This is notable because he's one of a very few politicians to create an even moderately open forum for transition ideas online; the only other one who immediately springs to mind is Lincoln Chafee, who hosts a less structured forum that doesn't seem to have attracted the number of eyeballs necessary to upvote the best ideas and push others off the front page.